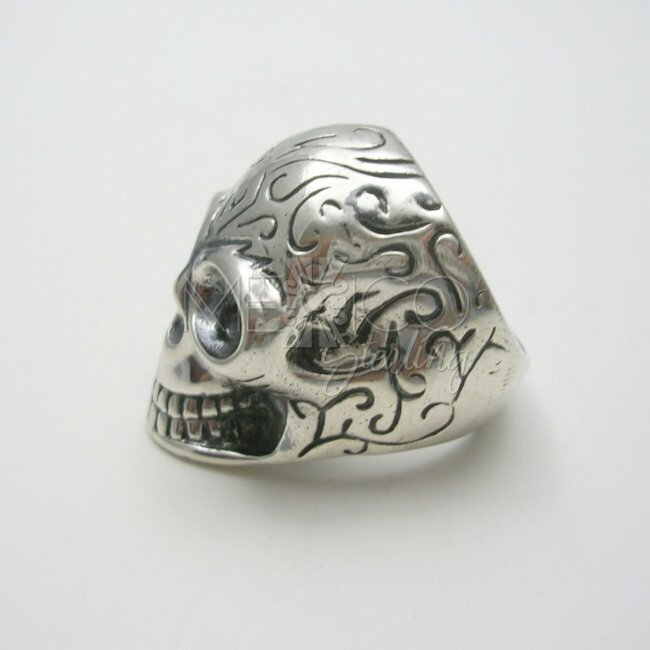 Man/Woman Decorated Taxco Silver Skull Ring - $98.00 : Mexico Sterling Silver Jewelry, Proundly from Mexico to the world. 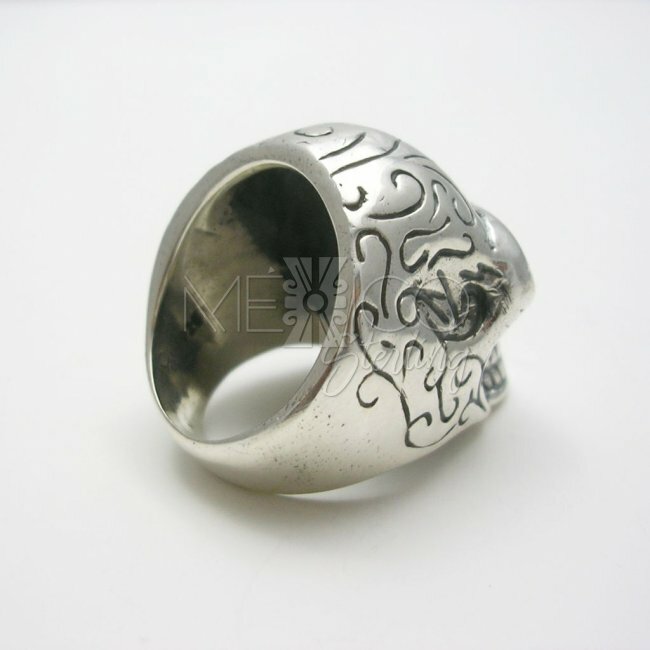 Dimensions: W: 1" Length : 1 1/4"
This amazing silver decorated ring has a very impresive look. 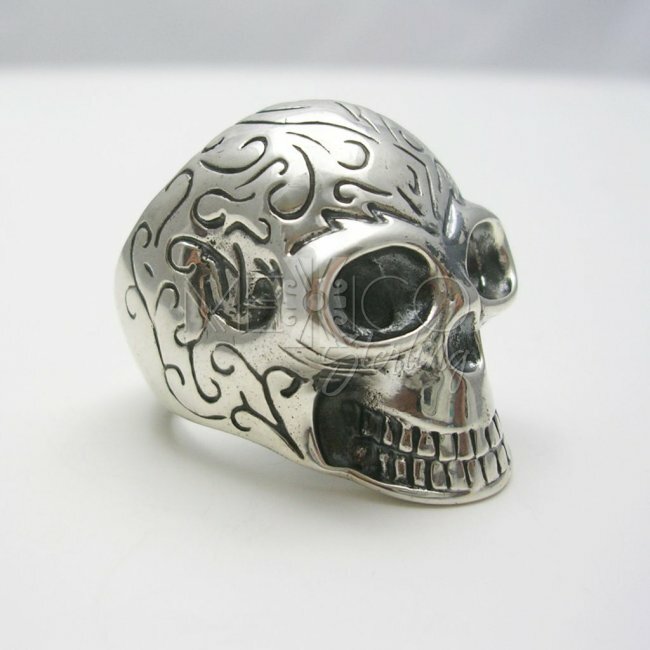 It was designed and crafted by Joaquin and Josefina jewelers last year. 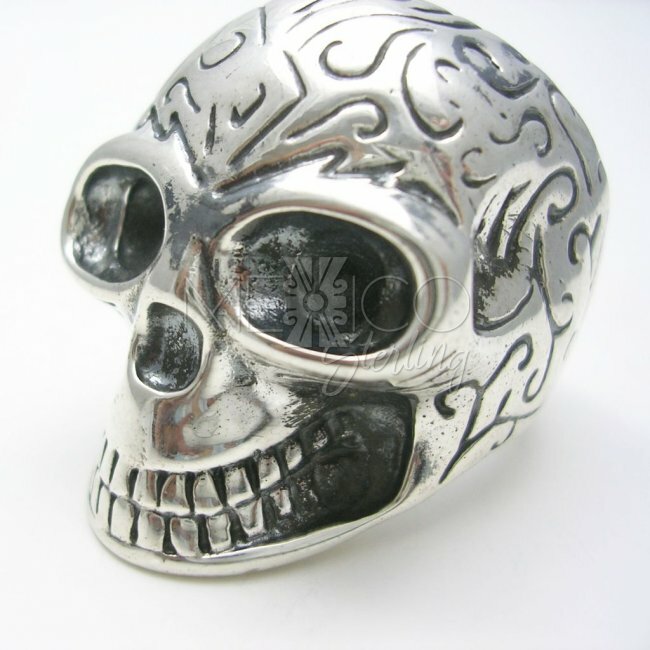 They created it for the "Day of the Dead" (Día de los Muertos) celebration. 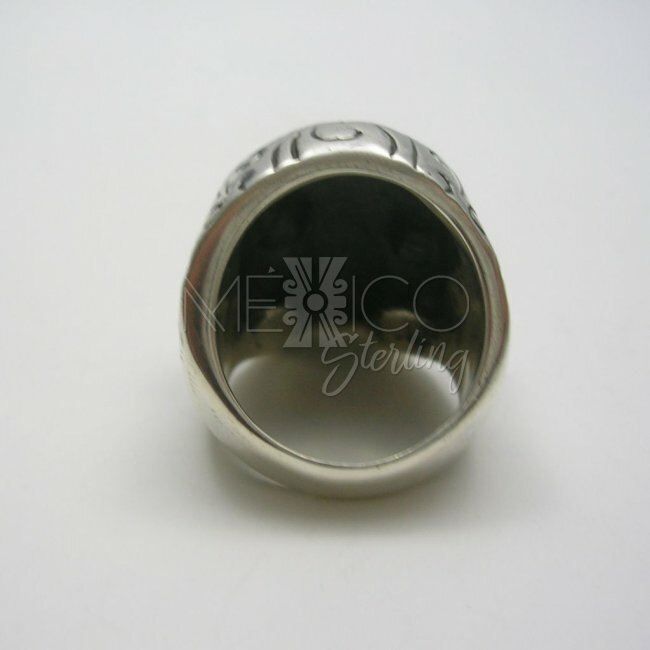 It's a gorgeous piece of jewelry that has all the Old Taxco features that are so well known all over the world. 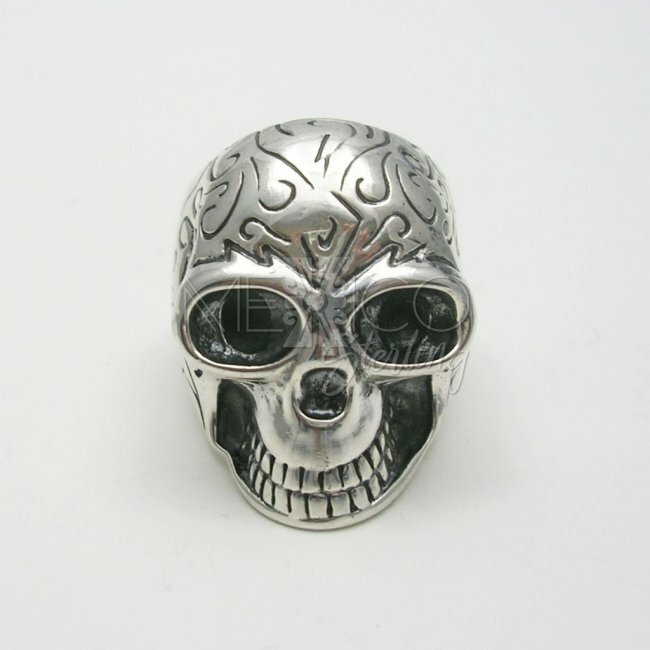 It was crafted with excellent workmanship and beautifully finished. 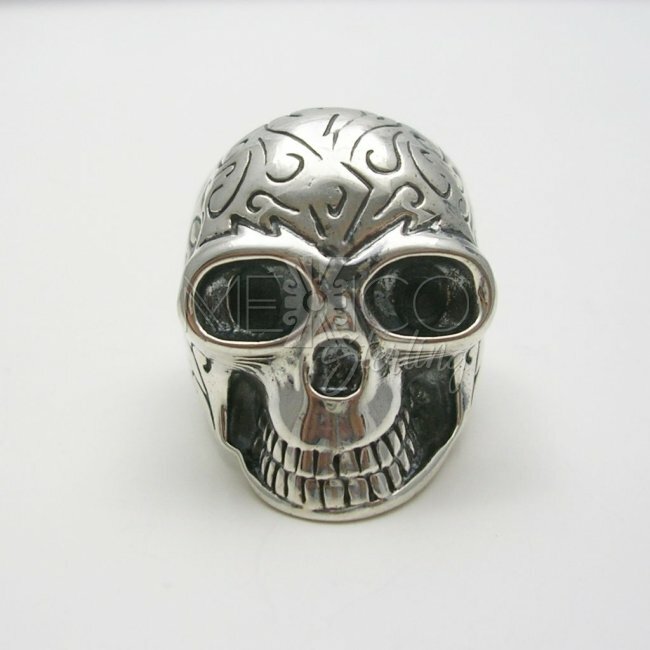 Please take a look at the extra photos shown here, so yu can appreciate it what piece of art this is. 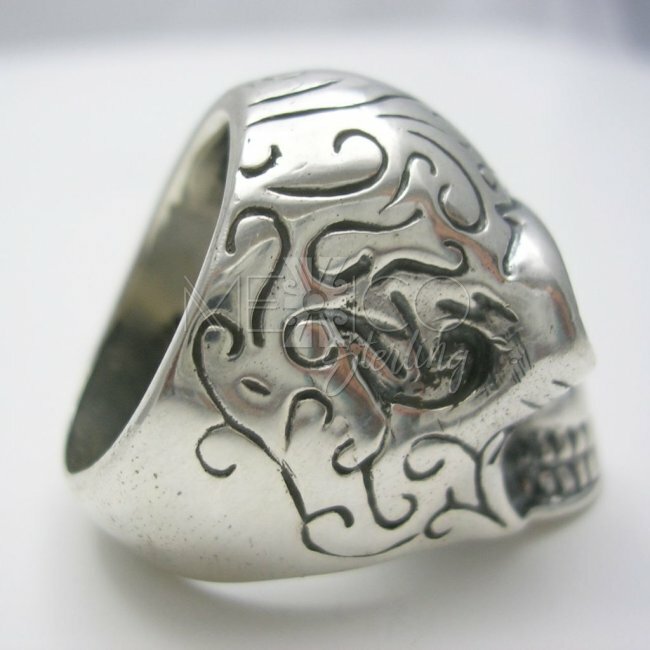 It's a unisex silver ring, also substantial in weight since it was crafted with solid sterling silver. 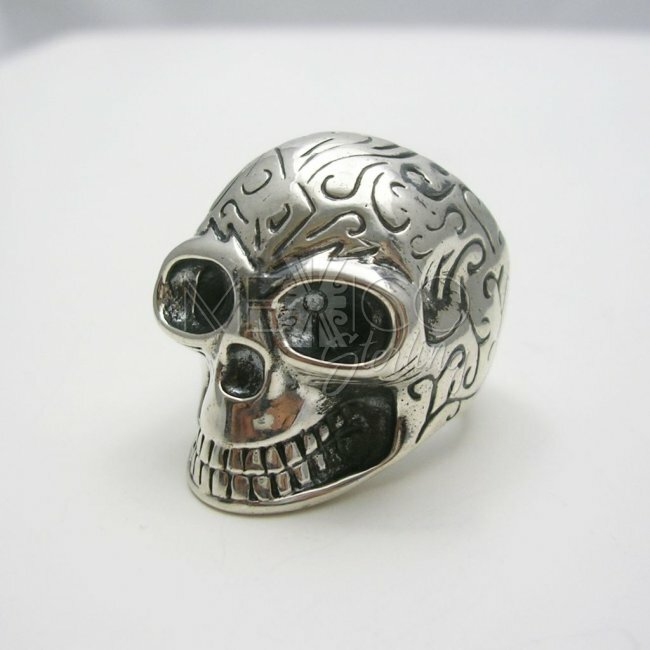 At this moment, this ring is only available in sizes shown above but if you need any other size, please contact us, we can help.